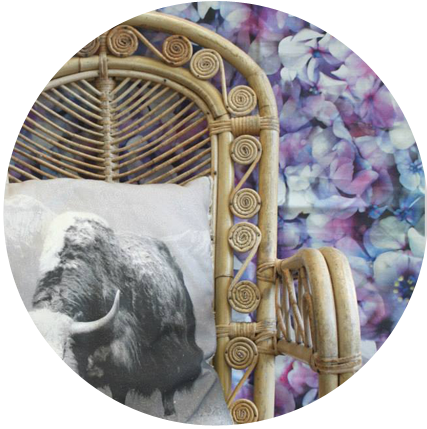 Frankie and Swiss is a boutique textile printing and design studio based in Melbourne founded by sisters Michelle and Jacqui. We custom print designs onto natural fibre fabrics with the help of our 2 tonne stainless steel digital textile printer. Her name is Florence. It’s ‘Florence’ that gets all the attention around here! 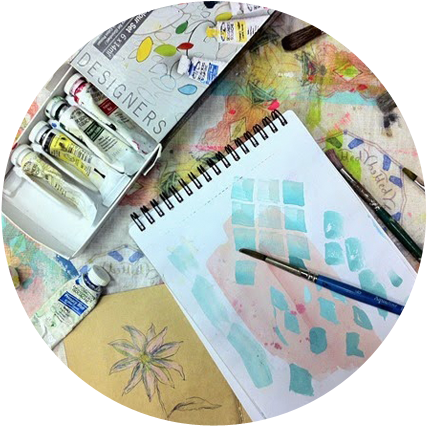 She brings the possibility of experimentation with printed textiles using millions of colours and the chance to transform art into a new medium. With abilities to print without minimums, customised printed fabric is a possibility. ‘Florence’ presents a unique opportunity for new creative collaborations where you become the co-creator: Translate your own artwork, photos or design onto fabric. Through the year, we celebrate creativity by publishing The Leaf Series, a series of Limited Edition Art Fabrics and products made in collaboration with contemporary Australian designers and artists, showcasing the glories of art in everyday spaces. We love to support local makers and artisans. All of our products are proudly handmade in Australia. "We think small in order to think big. With no minimums - there's no over production going on over here." An environmentally gentle approach is carried right through our studio. We work with natural fibre fabrics and print with non toxic, solvent free, water based pigment inks. We are committed to running a low impact sustainable practice and only print what is needed - there's no overproduction going on over here, what little wastage fabric we do have is repurposed or recycled through our recycling programs. Copyright Frankie and Swiss 2011 - 2019. All rights reserved. Terms and Conditions.